Poplar leaf beetle on a leaf. 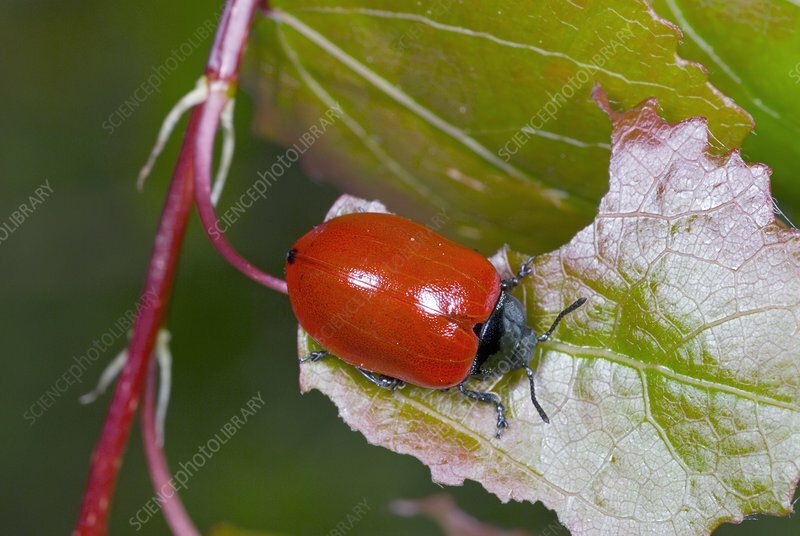 The poplar leaf beetle (Chrysomela populi) is a species of broad-shouldered leaf beetle (family Chrysomelidae) that is found throughout most of Europe. Photographed in Wroclaw, Poland.